where we will celebrate all things Star Wars related. the Star Wars franchise in some way and we want to share it with you. create some movie magic for you...now on with the projects at hyper speed. 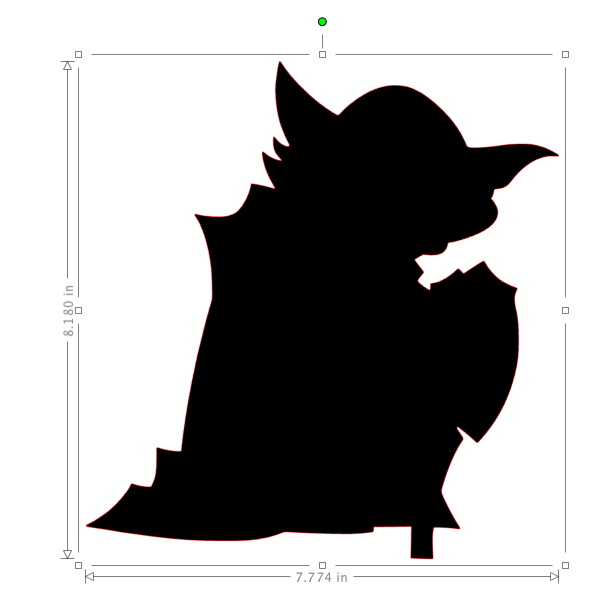 I created a Yoda card. 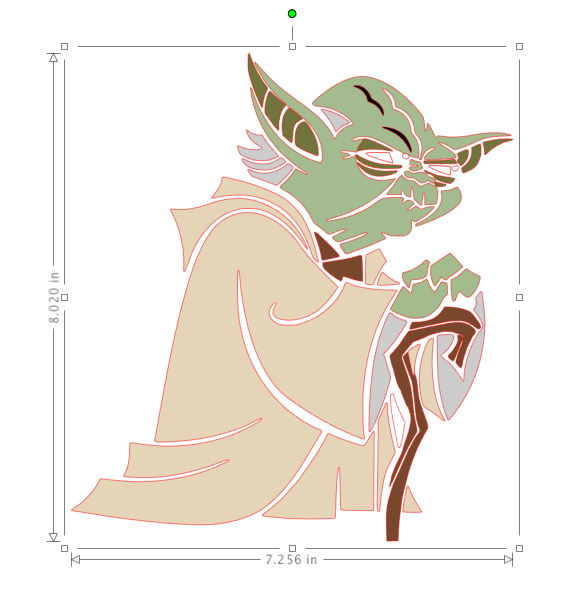 I pulled an image from Google and traced it with my Silhouette software. 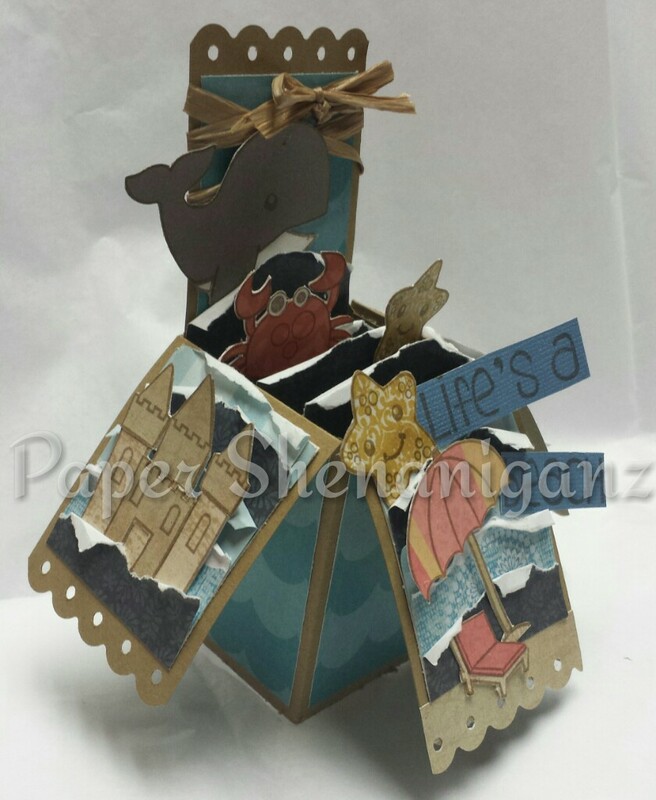 I took the image and offset it to create a background for the card, which I cut two pieces of. I then scored the top one about a half an inch down on his head so that I could glue the two pieces together and it would have a "hinge" to fold. Then I glued all the layers. I have shown the sizes I cut everything at. I wanted it to be a big card. 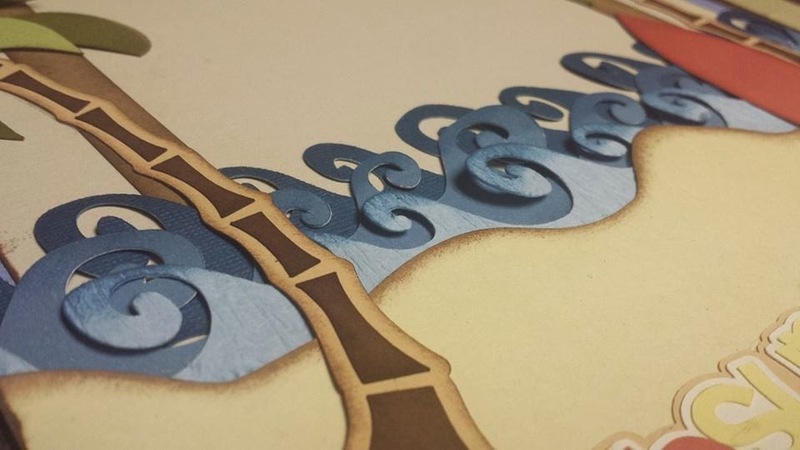 It probably would have been a lot easier to cut the layers from vinyl, but I wanted that paper pieced look. Also, if you're going to cut an image like this, I would turn the overcut on in your Sil software and also decrease your pressure. Mine was too high which is why there are white "tears" on my paper. Like all handmade things, it's not perfect and that's why we love to do what we do. Hope you enjoyed my card today! 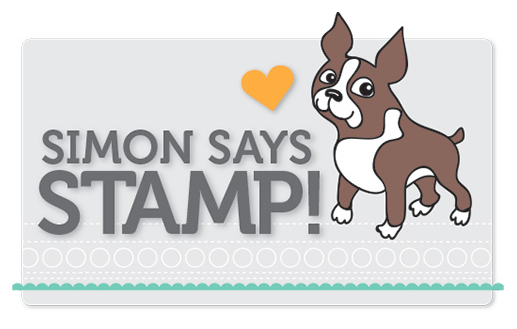 $10 Stampin' Up Gift Certificate given away by our hop host and Stampin' Up Independent Demonstrator Theresa Knopf. Click the picture above to be taken to SU page. Next, you will check out Amanda's project. Thanks for flying by today. 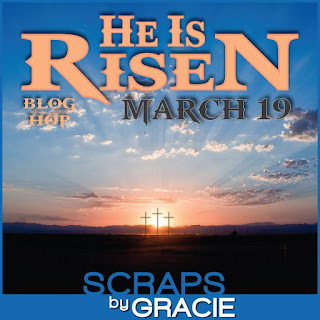 Welcome to the He Is Risen Blog Hop! So nice to have you join us. Today's hop will be a celebration of Christ rising from the grave. We've got a great group of bloggers today and the projects will just wow you. Please comment on each of the blogs the hop to be entered into the prize drawing. Today's prize is a $10 gift certificate to Simon Says Stamp. The hop will be open for comments until March 31st. Winner will be announced on Theresa's blog on April 1st. No Fooling! Now on with the projects. I have three projects to share today. Two are religious and one is just general spring/non-religious. I hope you enjoy them. First up, my "Easter Blessings" banner. The background scalloped images came from Birds Cards. The font is Ballerina Script found on Dafont. I made the cross shape myself since it's really just a couple differently sized skinny rectangles. I wanted it to be purple because it's a royal color. 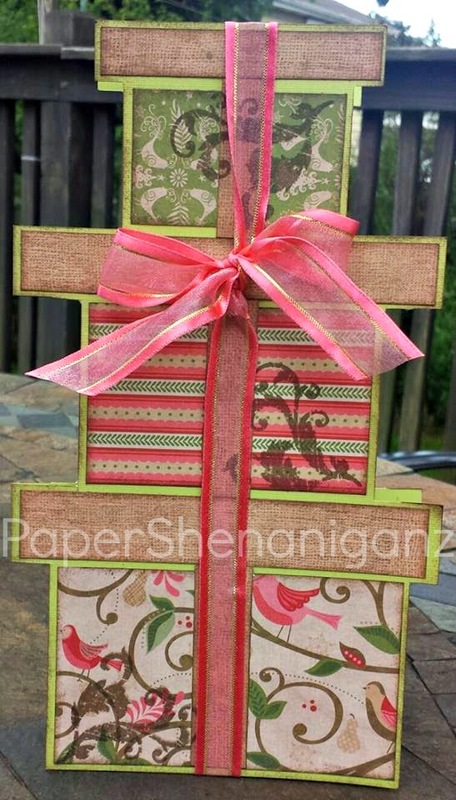 I used a distressed wood grain paper for the bigger middle cross to give it some dimension. I used CTMH crystals to accent here and there. I accented the sides of each banner piece with shabby flowers. I think it looks perfect on the mantel. My next project is a burlap cross. I literally just hot glued burlap into the shape of a cross. There is a tutorial on Youtube from May May Made It that was my inspiration piece. Mine ended up looking a little more like a plus sign than a cross, but I still love the way it turned out. I used a shabby flower to accent the middle and distressed the edges with brown Memento ink. 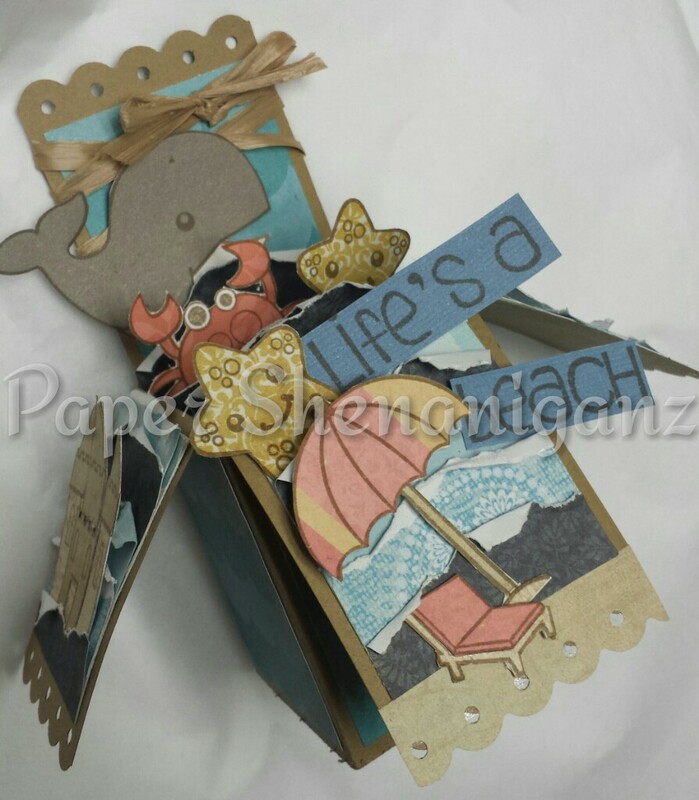 Lastly is my cute little Spring Bunny door hanger. It's an upcycled project because I used cardboard and peeled off the top layer to expose the corrugated part. I used my Silhouette to cut a bunny shape as big as I could. I had to piece it together but it ended up being about 12x18. I traced it onto the cardboard and cut it using an exacto knife. Then I used two different sized circle punches to create the polka dots and kept adding them until I felt it looked right. I distressed the edges of the circles with the same brown Memento ink. Then I added a burlap bow and a shabby flower for the tail. Super easy and super cute. I wouldn't put this somewhere where it will be exposed to the elements, because it is cardboard. That's it for me, folks! Thanks for stopping by and I hope you enjoyed my projects. If you have any questions, please, feel free to ask. Don't forget to comment for your chance to win. In case you get lost, here is the entire lineup. Happy Saturday and welcome to... 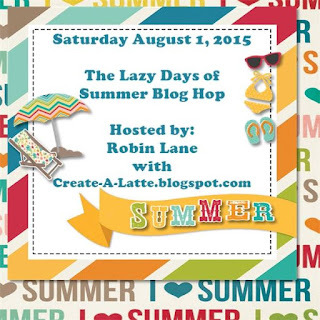 The Lazy Days of Summer Blog Hop! 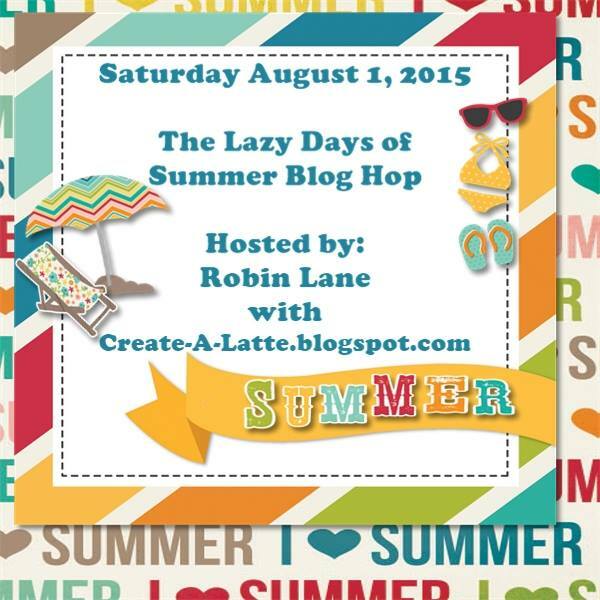 Please start at the beginning of the hop with our Hostess, Robin Lane from Create-A-Latte. We would not want you to miss any of these wonderful projects. As summer is starting to wind down, and kids are getting ready to head back to school, we thought we would share some summer projects with you. So, grab yourself a Latte', sit back and hop along with us as we share our projects with you. Now, for some candy. 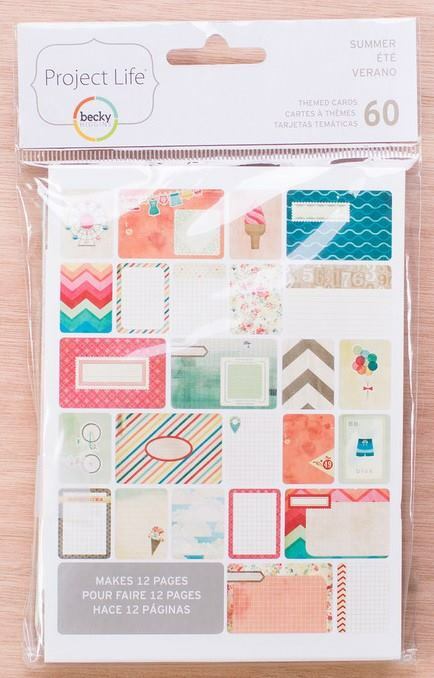 This month we will be giving one lucky person one Becky Higgins Project Life Themed Kits, Summer. For your chance to win this amazing blog candy you must hop through each one of our talented crafters blogs, be sure to leave everyone a little blog lovin', and if you are not already a follower please become one to each of ladies so that you do not miss a single project that they make. Now on with the hop. I made a box card and stuffed it a little full. Ideally, these fold flat for mailing, but there's no way mine will, and that's okay, too. 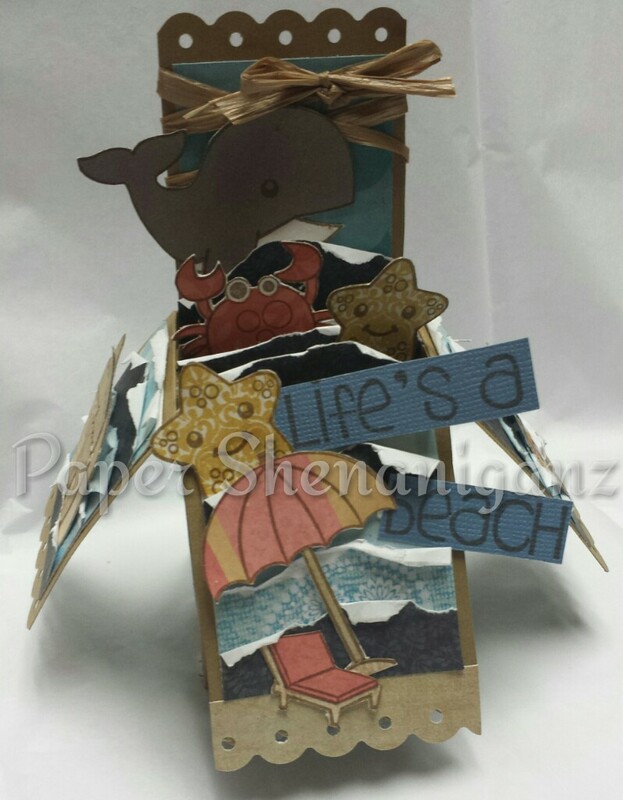 I used a set of beach themed stamps from TPC Studios to make this card. I stamped them on different colors of paper, cut them out, and in some cases paper pieced. I made the waves by cutting different colors of blue to fit, roughed up the edges, and adhered them to the insides of the box. I think it came out super cute. 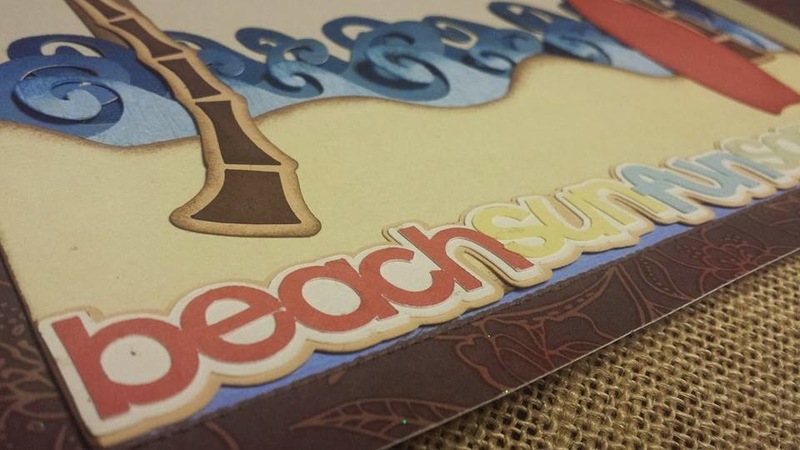 If you aren't familiar with how to make a box card, you can review this tutorial to learn how. Be careful though, because they are quite addictive! Your next stop will be with Theresa. If you get lost along the way here is the entire line-up of today's hop for you to get back on track and not miss a single project. Don't forget to leave everyone a little blog lovin' and become a follower for your chance to win some blog candy. Thank you for hoping along with us today, I hope that we have inspired you to get your craft on. Welcome to the Miscarriage and Infant Loss Awareness Month Blog Hop. You should of arrived here from Alicia's Blog, if not, please start at the beginning at Jessica's Blog! Today, October 15, is National Miscarriage and Infant Loss Awareness Day. This hop was created for those that have either have Angel Babies, for those that suffered a devastating loss with the loss of their own child or someone in their life that has an Angel baby or lost a child. Too many people in this world grieve in silence over the loss of their children. This hop is meant to CELEBRATE them! You will see many different stories from the wonderful ladies in this hop. Some have themselves loss their beautiful babies, some had family members go through a loss, and some are here to show their support for the women who have gone through it. The theme for this hop is any project centered around Angels, babies, pink and blue ribbons, condolence cards, tributes, and layouts! 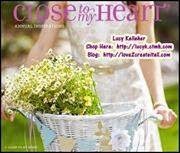 There will be a blog prize from Craftin' and Stampin' from online Close To My Heart store. The "Your Own Kind Of Wonderful" stamp set is the prize for today's hop. To be eligible, please visit each blog and make sure to comment and follow along the way. 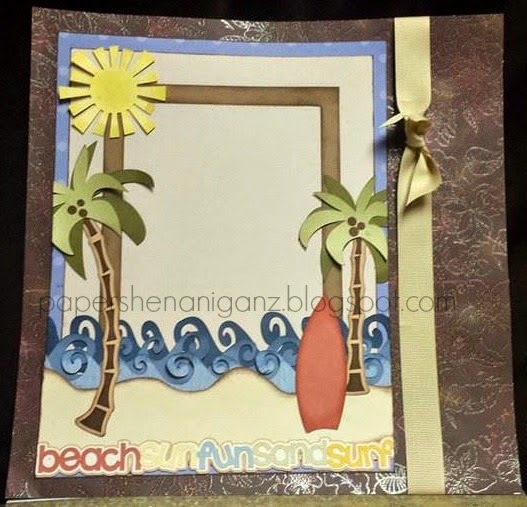 Winners will be announced on the Craftin' and Stampin' blog on 10/18/14. 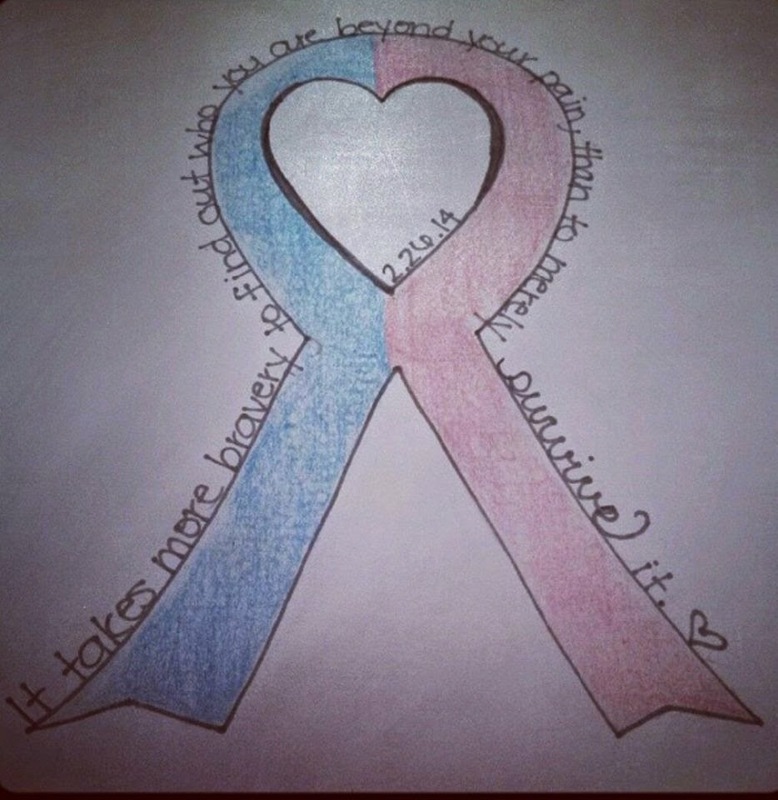 I decided to share a drawing I made of a pink and blue awareness ribbon with my favorite related quote around it. "It takes more bravery to find out who you are beyond your pain, than to merely survive it. I also included the date my angel baby was due. For me, I thought that was more special than the date I miscarried. I wanted it to be a positive date, rather than a painful one. Making this and looking at it daily has helped me during my journey of healing. It is a lifelong battle, and something many of us can unfortunately relate to. You are now off to Melissa C's blog. With lots of barnyard critters and tons of fabulous inspiration! We are so glad you came back for our 2nd day of the Barnyard Bash. 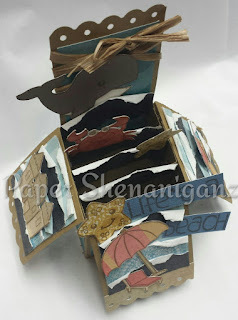 Connie Can Crop is playing Old Mac Donald for this hop and is the first stop on this super fun Blog hop so if you missed out on yesterday please start at Connie's blog for the day #1 projects. 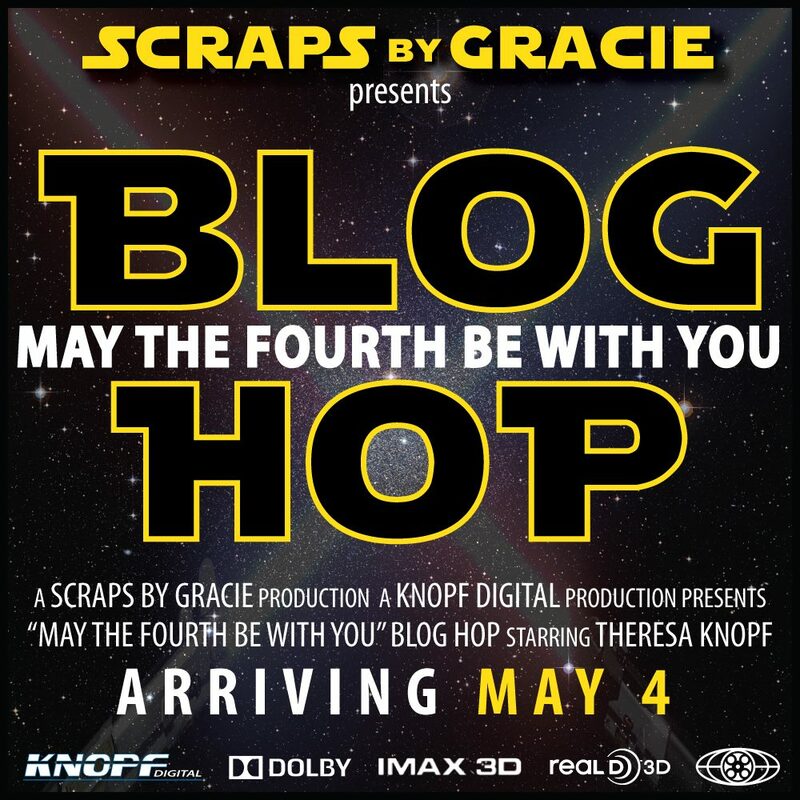 This is a two day blog hop and we appreciate your leaving a comment for all of these talented friends who are here sharing their ideas and creations. We have two awesome sponsors and giveaways for this hop! 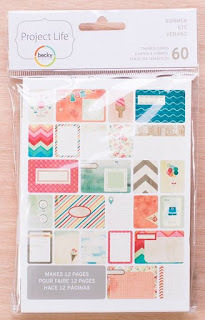 You could win an awesome package of Prima Goodies from Connie's Crafty Cart. Grab your pitchforks and your overalls because this hoe down is about to begin!! I chose to dust off my Cricut and carts for this project. The carts just make it super easy to create, and I've wanted to cut this farm image forever and never did. So, I cut the "farm" and all it's layers using Nate's ABC's at 5 inches. Then, I cut the goat and all the layers from the same cart at 2 inches. The only thing I did not use from this cut was the "don't eat the grass" sign, so I just cut it off. 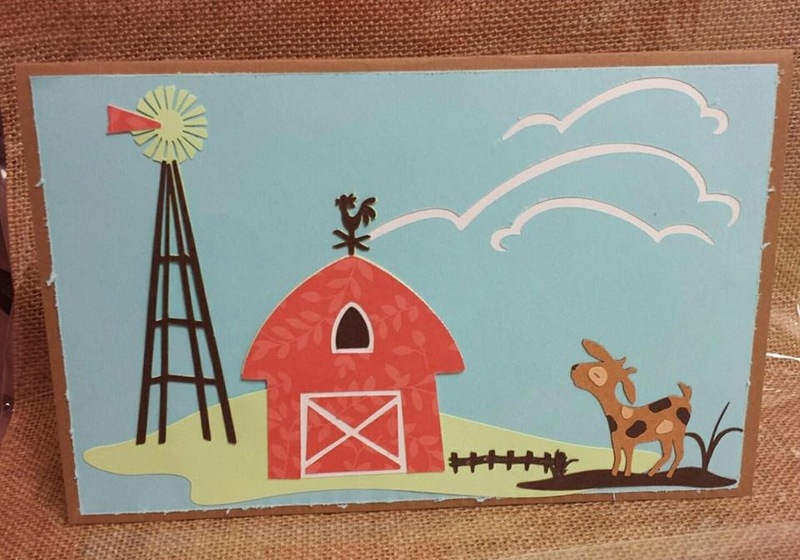 This card was pretty easy and super fast to create, but I think it's adorable for a barnyard theme. Hope you enjoyed, and thank you so much for hopping! I am the last stop on the hop, so be sure and comment on EVERY post for BOTH days if you would like a chance to win the prizes announced previously. Hope you enjoyed the hop. 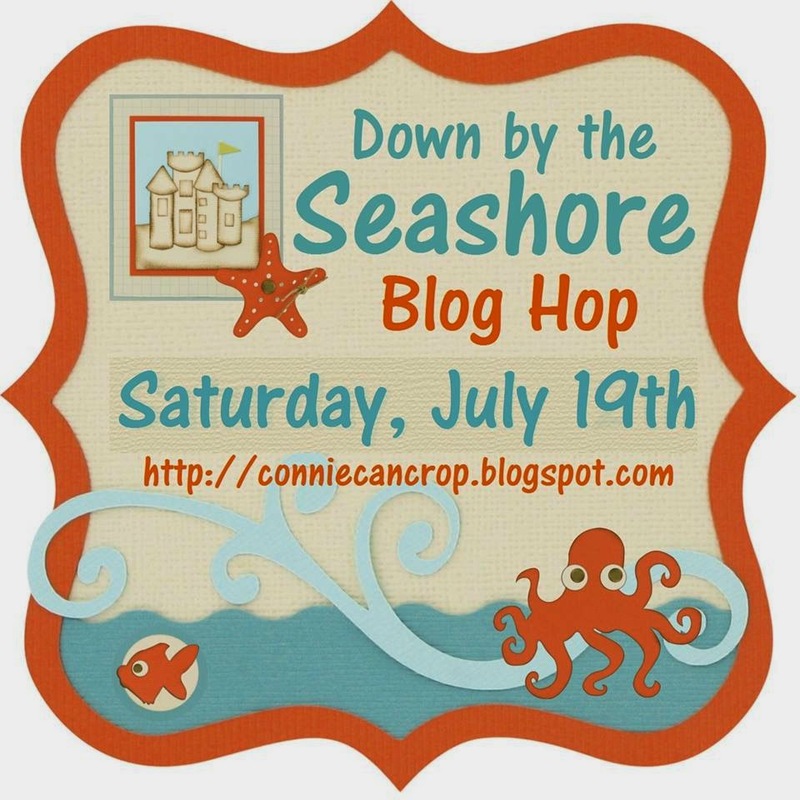 Connie Can Crop is the first stop on this relaxing Blog hop. 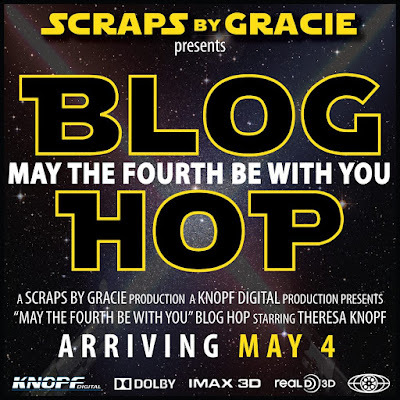 This is a one day blog hop, and we appreciate you leaving a comment for all of these talented friends who are here sharing their ideas and creations. 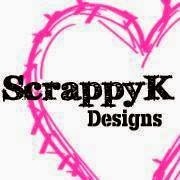 We have an awesome sponsor and giveaway for this hop, Scrappy K Designs. What do you need to do to win? Easy... become a follower of each of the fabulous blogs in this hop and leave each of them a comment letting them know what you like best about their projects. Then stop by our sponsor's page at be sure to like her on facebook!! Winner will be announced on Wednesday at Connie Can Crop. 5 Year Anniversary of Jessica's 30th Birthday Blog Hop! 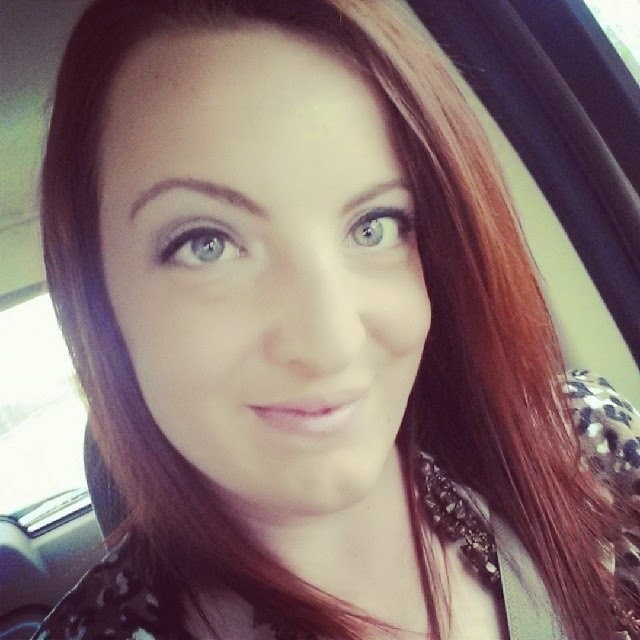 Welcome to Jessica's 5 Year Anniversary of My 30th Birthday Blog Hop!! You should of arrived here from Alicia's blog, but if you did not, please start at the beginning at Jessica's Blog! For today's blog hop, we are celebrating..you guessed it, a BIRTHDAY!!! 1. Close To My Heart (We ALL know Jessica lives, breathes, and SLEEPS Close To My Heart)! So, EVERY project will be birthday themed using one of the 5 items mentioned above!!!! Now, you KNOW every hop HAS to have some giveaways!!! Here are our sponsors and prizes!! I used this free cut file from Birds Cards for my card base. It is the tenth file down, called 3 gift box card. I sized it approx. 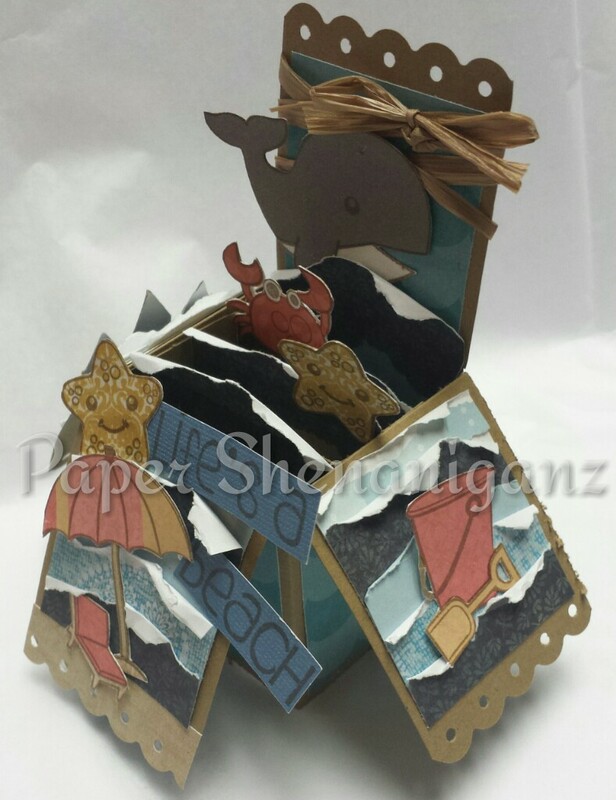 9.6 inches high, and 11.1 inches wide using Silhouette Studio, and cut it with my Cameo. I highlighted all the layers while I was adjusting the box, so they would still stay proportionate. 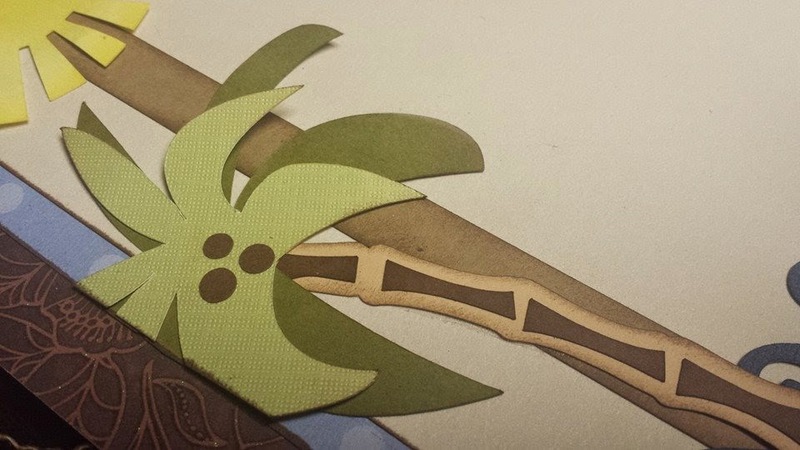 However, after I cut them all out, I decided I wanted a border of cardstock to show, so I cut about a quarter inch off two edges of each piece. All the patterned papers are Close To My Heart, and I inked everything using Close To My Heart's chocolate ink. I have no idea what the papers are called, but they are a year or two old. Then I tied a ribbon with a pretty bow, because it needed a little something extra. Be sure to FOLLOW and COMMENT on ALL blog stops in order to be eligible for the prizes!!! Here is the blog lineup in case you get lost!